A report today indicates that the rate of rental increases is the slowest for the past three years. The property website Daft.ie says that despite this, its quarterly survey suggests that another record high in national average rent prices has been reached. 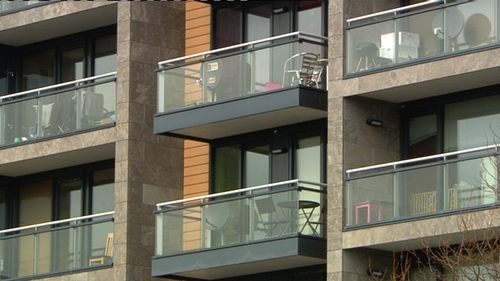 The figures show that rents rose nationally by almost 10% last year. Responding to the findings, the Simon Communities said that, while it was encouraging that the number of properties available to rent nationally showed rare signs of increase, availability of affordable housing in the private sector remained far too low nationwide. A Simon spokesman said that measures are needed urgently to enhance security of tenure in the private rental market. "As this reports shows, despite the supply of private rented properties improving, rent prices continue to increase, meaning that the almost half-million renters across Ireland face a huge disadvantage in terms of their housing. "Nearly 10,000 men, women and children remain stuck in emergency accommodation. Many have come from the private rental sector, where they were forced to give up the homes that they already had due to spiralling rents. "Now their only option is to remain stuck in emergency accommodation as housing is expensive beyond reach and supply, while increasing, remains far too low. "For that reason, enhancing security of tenure has to be an urgent priority so that people already housed can keep a roof over their heads and have greater certainty in their daily lives. People trapped in emergency accommodation need secure and affordable homes, with support where needed."